Bangladesh government can actualize students’ demand easily taking a few steps as her administration is capable of doing so. No need to be egoistic and inconsiderate at this point, as it is not only students’ demand, it is a long due demand of the residence, professionals, diplomats who live in the Capital City Dhaka. I am starting with a few narratives from the field, Dhaka, Bangladesh. For road safety, student movement is going on in Bangladesh right now. “A Grade 11 girl Sudipta said, keep trust on this generation. Everything will be possible if we stay united. Students will make them abide by the rules. They must be educated first to be on the road.” We want justice and safer road this is demanded by the students, who are not only teenagers they are new offspring who understand well what they are asking for and why it is important to materialize at this moment. The ruling government and political parties are denoting this movement in a different way, they think students are misguided by the oppositions. As situations are out of control, the government used forces on youth and they were beaten up by the police force badly, which is insane. The brutality police force shown on the peaceful demonstration, this is simply unacceptable. 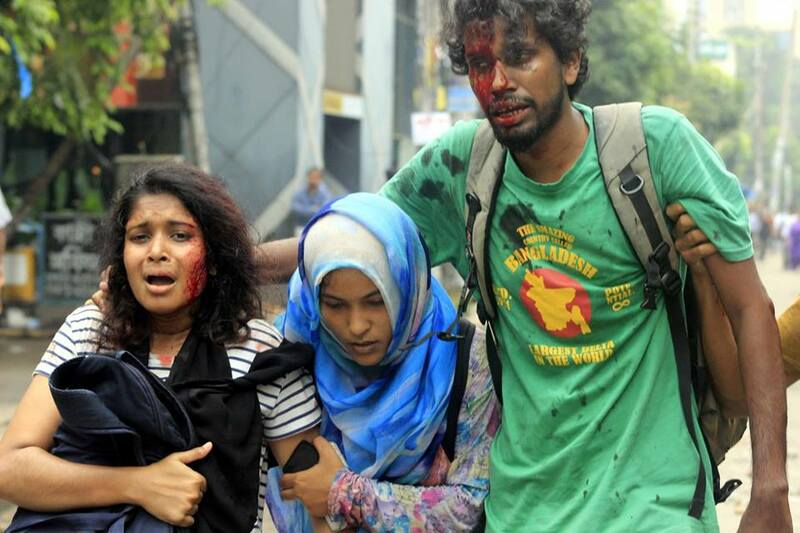 Local journalists informed BBC that they were beaten up the by members of the Bangladesh Ruling party, a student organization currently opposed to the protests and engaged in violence and killings to stop youth resistance. The journalists also reported their cameras and equipment was destroyed and today a few news reports mentioned that the photographer of Dhaka Tribune is abducted. And sexual assaults were noted on the streets, a female reporter informed social media that she was molested while she was filming the rattles between the groups. A war could be brewing among the Bangladeshi youth’s world today as they lost their friends. They are emotionally charged but they have arguments and they can shoot back and forth with convictions that they proved. We must not try to get them discouraged. Don’t burn any bridges either. After 1952, Bangladesh faced a huge youth movement in 2018. This movement was done by the youth who are conscientious and demonstrated a peaceful resistance. 9, 10, 11 and 12th Grader students made sure the safe journey for the vehicles are carrying children and patient and they checked each driver’s license carefully today. And they planned to stay on the road whole night for a peaceful demonstration. While a country is facing challenges of corruption, violence, and terrorism since the past two decades, students proved that Bangladeshi youth are peace lover, they are not the believer of anarchism. People of Bangladesh, youth and seniors welcomed this mass student resistance because people are suffering on the road for the uneducated drivers, as they are lack of education, safety rules, law, and orders. What should be the consequence of the movement and how the government will move forward to make the Capital safe? In this case why the government was silent past decade? Why they are not thinking driving is not only a simple skill, it requires a proper education to ensure values and norms how to show love and respect toward children, women, youth, and senior. Why a proper theoretical skill of driving and spiritual education are not given to the drivers before they park their car on the street. Hope Bangladesh can look at the outer world what rules and regulations and educations are given to the different types of drivers and move forward with an effective plan. Past decades there were many incidents while students reported how bus conductors behave with them as they are young. The bus conductors pushed students from the running bus often, not making a full stop in each bust stoppage. And young girls and women were raped and insulted many times inside the bus. If government close her eyes on these serious issues, these young students are bound to walk on the street to fix the country’s rules and regulations which is a shame for the ruling party. A huge youth movement is going on in Bangladesh at this moment, I highly appreciate it. Why this youth group on the road, and not at school, this raise a question? Road Safety law implementation in Bangladesh has become imperative because Bangladesh is losing a life every day from the lack of law and orders. All at a sudden two young boys and a girl, three beautiful life is gone for the reckless bus drivers competition on the highway this is simply unacceptable. 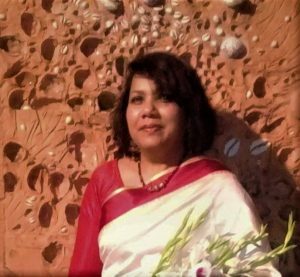 In 2009 when I went to Dhaka for my research with BRAC I was about to lose my child because of a reckless driving system in Bangladesh. The CNJ ride I took its driver was not following safety rules even after my so many cautions. My intuition told me that I am going to meet an accident for this driver. Yes, my sixth sense worked well. He hit a toddler within a few seconds when the little boy was getting off from the bus without mother’s support. Mob and police ran to our CNG to stop on the road. I thought today I am going to lose my child for the agitated angry mob. CNG driver is not supposed to drive where the bus stops for many reasons. I ended up with the traffic police to hand over the driver. The rule is, drivers are not supposed to drive closely to any public bus, but my CNJ driver was competing with the buses and public vehicles and disregard my caution. He created a panic driving faster the CNG while I was cautioning him. The safety rule is, any vehicle should be a way of public bus and a school bus. And bus driver should be very careful as they are carrying a number of valuable life. Bangladesh can implement road safety law easily, so they should not fuss anymore. See, our children are smart they know what to do. Sitting at home or living far away of the country, I can write only, but writing stories in Newspapers are not enough. Need a huge resistance from each sector of the country, students, teachers, parents and intellectuals, a huge movement to bring back the notion that Bangladeshis are cultured and civilized. According to Ontario Law, Canada, drivers can be charged if they pass a stopped school bus with its upper red lights flashing: First offense: $400 to $2,000 and six demerit points. Each following offense: $1,000 to $4,000, six demerit points and possible jail time (up to six months) Vehicle owners can be charged if their vehicle illegally passes a stopped school bus, even if they weren’t driving. We must make a commitment toward our youth to offer them a good life as Bangladeshis are known for their morality and spirituality. They are not killers, terrorists or uncivilized. Bangladesh government, its politicians, and leaders ignored road safety issue since long, they did not take any initiatives for urban planning and developing a regulated transportation system. Rather, they encouraged building homes and offices like mushrooms in the capital city without enough express roads and drainage system. They allowed unlimited numbers of large private and public vehicles, Uber, Taxis including CNJs and Rickshaws on the streets. The city life is stagnant for traffic jam, but nobody has taken any initiative to fix this problem so far. There are no time rules (for day and night), markers on the road, signs, cameras, express routes or laws for the heavy loaded trucks or public buses. The city’s administrative buildings should be decentralized. Many administrative buildings and private universities could be moved to the suburban area or in another district such as Mymensingh or Brahmanbaria. So pull factors of migration to Dhaka city can be stopped. This is not only a wake-up call for the drivers. This is a call for the Bangladeshi politicians, leaders, reformists, and intellectuals.